I have a friend named Cindy. Cindy loves to bake pies. Cindy bakes all of her pies from scratch, from the pie crust to the fillings. They are the best pies in the world. When Cindy’s oldest daughter got married, I took the wedding pictures and she paid me in a couple of pies. To be honest, she overpaid me. Ever since that day, whenever she bakes an extra pie, whether it be apple, pecan or buttermilk, she always calls me up to see if I want it. 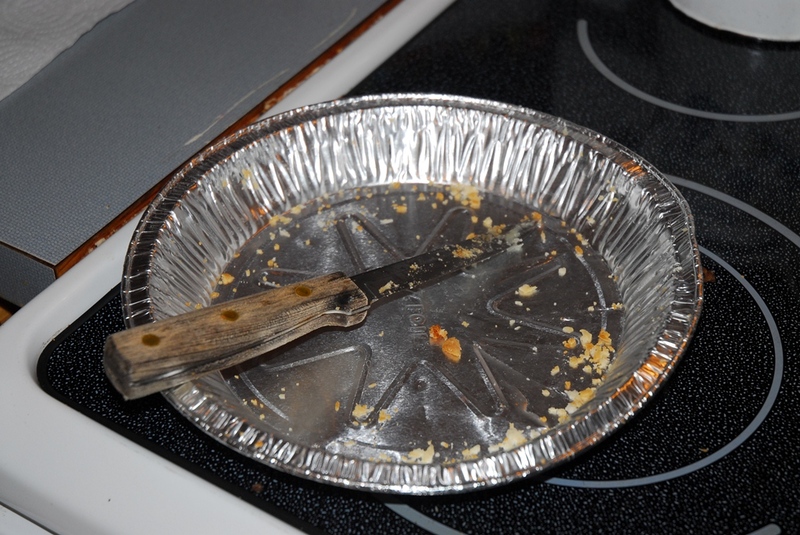 Cindy gave me a buttermilk pie a few days ago, and this is a photo of it exactly 57 minutes after I brought it home. Good gracious, but it was delicious!